Having spent the majority of my drifting “career” driving an AE86, I’ve always been inspired by the OG hachi pilots in Japan. Ueo, Kaicho, Hibino, Imamura, Minowa (hachi and jzx) etc. The list goes on for days. However, when it comes to real life, my driving and style are constantly evolving and being molded by all of the friends, as well as my teammates that I have been fortunate enough to drive and interact with in person over the years. I was never truly excited about the idea of drifting until I saw it in person in 2005. A few local drifters showed up to an autoX event that I was participating in and, frankly, they didn’t give a sh!t about going fast. They were there to drift. After watching them and seeing how exciting it looked and sounded, I knew right away that that was far cooler and I had to do it ASAP. My current car’s styling was heavily influenced by the Traum/Real Dream TAS demo JZX’s. There are others, but this platform is still so new to me that I’m still developing my own personal style and vision for it. 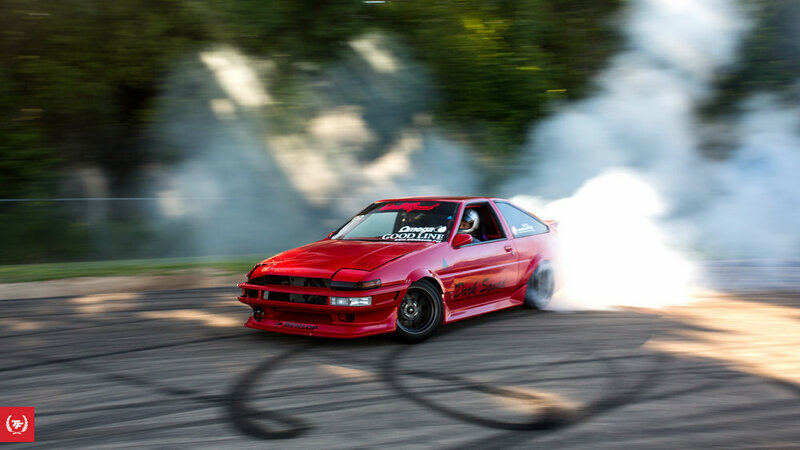 I believe that drifting should be about having fun with your friends in cars that you are truly invested in and represent you and your style. Early on I found a group of people that I believe share this sentiment and year after year that family only grows and gets even better. I’ve been doing this for 12 years and couldn’t imagine it any other way.